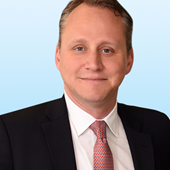 Mr. Stamm, Executive Managing Director, is an accomplished leader in providing investment advisory services to major international institutions and oversees Colliers' cross-border investments in the U.S., Canada, Europe, and Mexico. 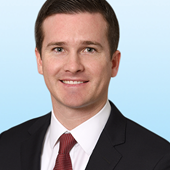 In addition to managing the team, Mr. Stamm is the co-leader of Colliers' U.S. Institutional Capital Markets Group, focusing primarily on business development and recruitment. Mr. Stamm's ability to attract and access key international institutional investors and foster relationships within the international real estate and finance communities, combined with his skills and experience in cross-cultural management for foreign institutional investors, has led to transactions, investments, and advisory services in excess of $40 billion in his career. His extensive experience includes single asset transactions, portfolio transactions, refinancing assignments, and joint venture/structured finance opportunities across office, residential, retail, hotel, and industrial sectors, spanning markets across the U.S., Canada, and Mexico. Prior to joining Colliers, Mr. Stamm worked for Savills and CB Richard Ellis where he helped build and manage their international advisory platforms, which specialized in strategic and transactional advice for offshore investors. 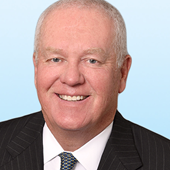 Steven Ward is a Managing Director in Colliers International’s Institutional Investment Group. Mr. Ward provides strategic investment advisory services to institutional investors, including sourcing and analysis of investment opportunities, acquisition services and the marketing and disposition of investment properties. With multi-market experience on a national basis, he has been directly involved in the closing of more than $3 billion of acquisition, disposition and joint venture transactions across all major asset classes, including office, industrial, multi-family, hospitality, retail and development sites. Mr. Ward has extensive relationships and transaction experience with a wide range of active market participants, including domestic and foreign investors, developers, capital sources, banks, etc. Before joining Colliers International in 2016, he and his team were with Savills where they advised global institutional clients with their investment initiatives across North America. Mr. Ward began his investment brokerage career at Grubb & Ellis in Orange County, California, representing private and institutional investors in the disposition of office and industrial properties. Mr. Ward resides in Newport Beach with his wife and their two children. In his free time he enjoys spending time with his family, playing golf, tennis and fly fishing. 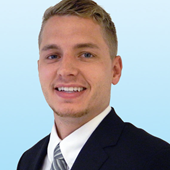 Nick Unkhoff is an Associate with the firm's Institutional Investment Group and assists with all investment advisory related tasks, including analysis of potential opportunities, market research, marketing and transaction management. 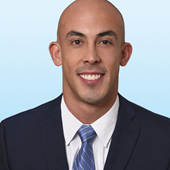 Since joining the firm in 2016, Nick has been involved in the succesful closing of more than $350 million in sales transactions throughout primary US markets and across the office, industrial and retail product classes. As a native German, Nick plays a key role in the group's dealings with European, and specifically German business connections.